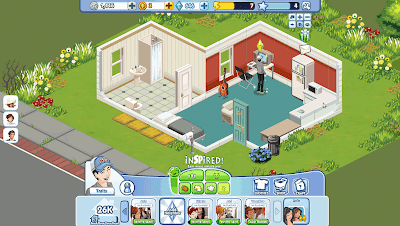 Ryo Central: Is Sim City Social The Next Big Thing On Facebook? Is Sim City Social The Next Big Thing On Facebook? While the competition is starting it's own gaming platform, Facebook clearly has some games ahead. One is the new "The Sims Social". And it looks like it could be big. The combination of a classic Sims game and getting social points and, of course, Sims Cash, is intriguing. It sure has the flair of CityVille but much, much more. That's the flair of "The Sims". And this makes fun, if you like such kind of games. It feels like a real Sims title, with all the elements. Having infinite expansions for the future is tempting. But it all comes to spend money at some point. That never was a problem for titles like CityVille. Can "The Sims Social" be the next big game and get the #1 spot?